My trip to Nikko was somewhat spontaneous. I was at a neko cafe with a friend, and while staring at him bat a fat little cat’s tail back and forth I asked what he thought of staying a night there. He was all for it, and so it went. Nikko’s a beautiful place to visit, regardless of season. However, it tends to drop to minuses in January/February, so bundle up if you’re planning on heading up in the late winter months. As a big fan of tofu, I was delighted to find out that Nikko is well known for yuba (tofu skin). Make sure to try their yuba manjyu! Although food can get a little pricy, Lion Dor, a huge nearby supermarket slaps a discount on most sushi and bento boxes after 7PM. Nikko’s most famous attraction is undoubtedly the Toshogu shrine, with it being the origins of the sanzaru (see/hear/speak no evil monkeys) and other meticulous wood carvings, plus the crying dragon. I won’t spoil much else for you, but it’s definitely worth a visit. Okunikko’s only a 40 minute bus ride away to the very top where Yumoto onsen is located, and is also abundant in beautiful hiking trails that allow you to view the famous waterfalls and lake Chuzenji. You could even hitchhike back down to central Nikko if you’d like to experience so. Unfortunately, we didn’t get the chance to, but if you visit in summer/fall, cars will drive by aplenty. We stayed at Sumica, a guesthouse owned by Yuka’s friends. It’s as cheap as it is convenient, being only 2 minutes away from the train stations. Yoko entertained and helped us out for most of our time there, but we got to meet Hitomi, too (“she’s Sumica’s mascot of sorts”, says Yoko). If she ever drops by, she’ll probably ask you to draw your home country/town in her sketch book (mine’s Malaysia, while my friend’s a poorly drawn Tsukuba). If you’ve got 2-3 days to spare, I’d really urge you to visit Nikko. And if you stay at Sumica, tell them Arina sent you! You can going to NIKKO from 328Hostel&Lounge by Keihinkyuoku line, keisei line and Tobu line. 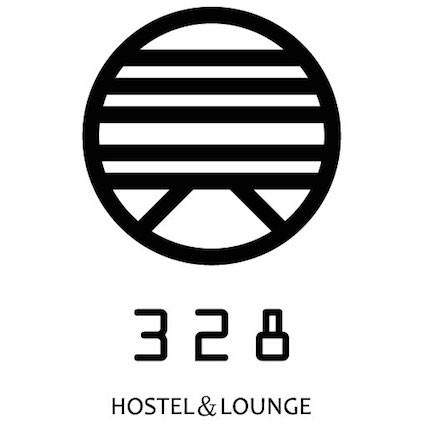 It’s easy to access there from 328 Hostel and Lounge. Because, You can going to strait to Asakusa from Anamorinaristation depending on the time slot. Getting from 328Hostel and Lounge to Asakusa Station takes around 40minutes. get a free pass. The All Nikko pass (for foreigners only) or Marugoto pass (for anyone) allows you a round-trip from Asakusa to Nikko via the Tobu line. Besides that, it also allows unlimited bus and train rides along Nikko and Okunikko. It costs around ¥4000. bring comfy shoes. You’ll be walking a lot. A lot. A lot. A Lot. ask Yuka if you’re confused about anything; she’s always happy to help!